I’ve been wearing this legging/black tunic/jean jacket combo lately because, well, it is easy. I thought it might be a little trendy. But then I started watching My So-Called Life on Netflix after someone posted on Facebook that it was on Instant Play and I realized I’m straight early-to-mid-nineties. Also, I haven’t cut my hair in months so I’m looking a lot like Kelly Taylor. Here is a fun fact about me: I had HUNDREDS of quotes from My So-Called Life typed out and pasted in my journals. This is a show that was cancelled the first season and only had nineteen episodes but somehow managed to define my teenage-angst perfectly. Is there a modern-day equivalent…anyone copying & pasting Glee quotes? 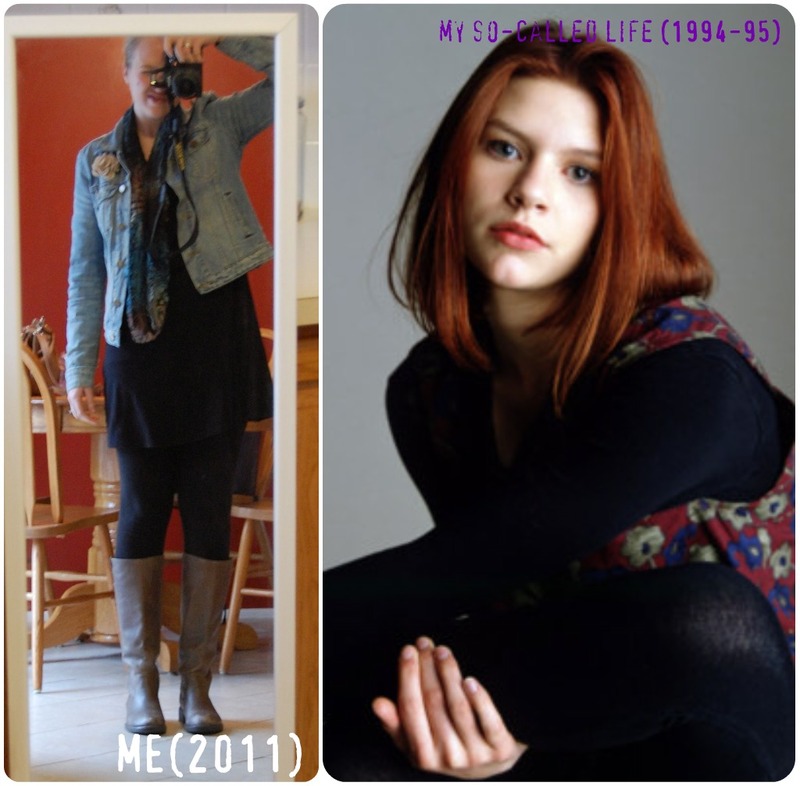 My So-Called Life was definitely influential on girls our age. Maybe that’s why I think your outfit looks amazing, or maybe it’s just because every single piece of it is so cute. The boots, leggings, dress, scarf, and jean jacket – rock it! haha! I love this post. I’ve been doing the same thing with the leggings. I’m having a hard time putting jeans on these days. The leggings are so comfy. I also had my journal chalk full of quotes from My So Called Life. 20, 20, 4 hours to go…..
Oh, Jordan Cantalano, so misunderstood. I think you look HAWT.